We are very excited to announce the immediate availability of Matomo (Piwik) v1.11! Matomo (Piwik) v1.11 is being released after nearly two months of development. It contains an awesome change to the design, seven new features, three usability improvements and 40+ bug fixes. 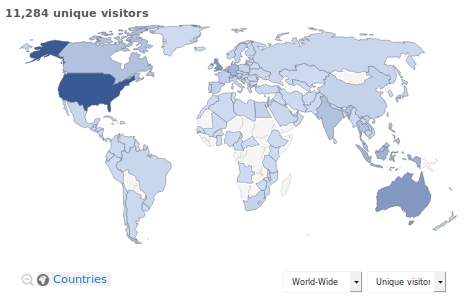 New Visitors World Map (by Country, Region, City) and a New Real Time Map! We are excited to bring you New Visitor Maps and Real Time Maps! Exactly 149 users donated something, and all together you reached the funding goal! It was an awesome signal to us that the community is there to support our projects and that we are doing the right thing. Thanks to everyone who donated to our first crowdfunding campaign to make this possible! 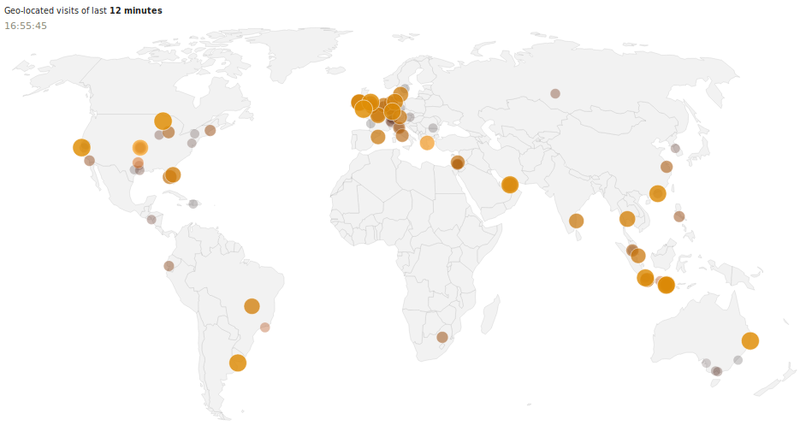 This map shows the number of visits by city in France. 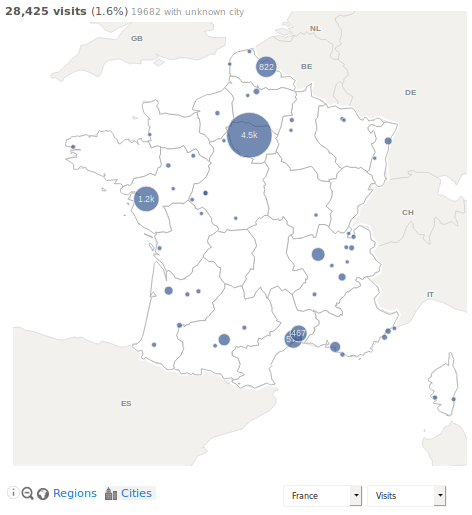 Small cities are aggregated together with big ones (clustering) to make data analysis easier. 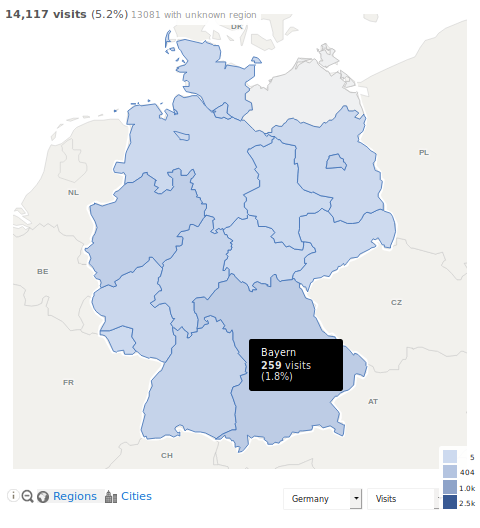 This map shows the zoom on Germany, so you can see how many visits each region got. You can select in the dropdown to plot another metric (bounce rate, time on page, etc.). When you click on a given Region or city, it opens the historical evolution of this region or city! Let us know if you have any feedback or suggestion about the maps. 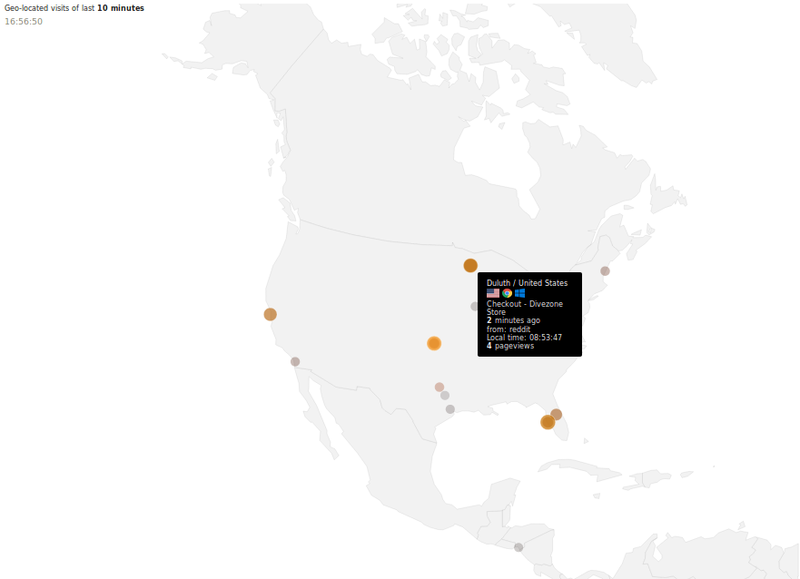 The new Real Time Visitor Map updates every 10 seconds to show your visitors in real time! Watch as your visitors come and go on your website. Note: The bigger and the more yellow the bubbles, the most recent the visit is. Bubbles become smaller and more transparent as the visit is “older”. The maps are built using the library Kartograph which Gregor created specifically for the Matomo (Piwik) maps (and which is released under GPL license). Fabian Becker, one of our talented core developers, implemented a new design for Matomo’s admin menu that makes every admin page look better. 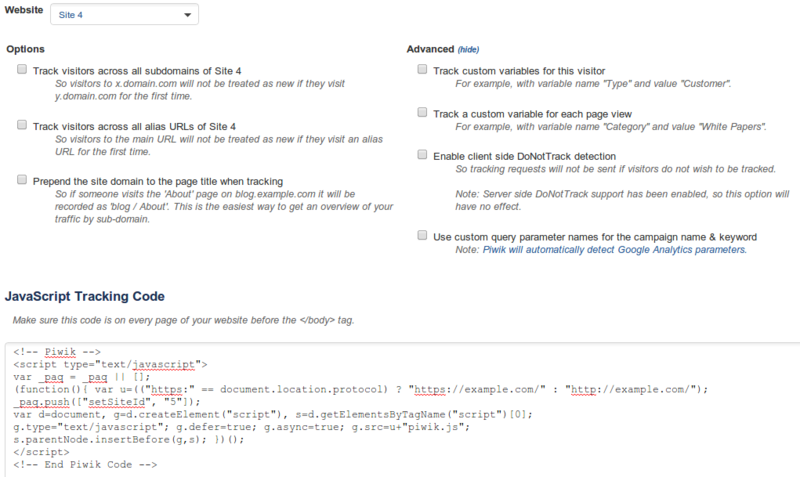 Access this feature by going to Settings > Tracking Code. We’ve added a new report that merges three other referrer reports: Keywords, Websites, Campaigns. You can use this new report to directly compare referrers of different types (like a specific search query and a specific website). You can access this report by going to Referrers > Overview. 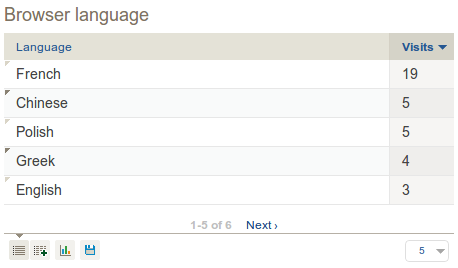 We’ve also added another new report to Visitors > Settings that shows the browser language of each of your visitors. Use this report to see the primary language of your visitors. You can access this report by going to Visitors > Settings. You can now choose whether URL fragments (everything after the #) should be kept or discarded when tracking for all websites or each individual website. The default behavior is to keep fragments, but if you don’t use AJAX and don’t care what anchors people view, discarding fragments might make your data easier to understand. Access this feature by going to Settings > Websites. You can now schedule e-mail reports to be sent out at specific hours. Idea: Could Matomo (Piwik) become your wake up clock? Configure to receive a SMS of your web stats every morning (right after breakfast?) to start your data-driven day. Access this feature by going to Email Reports and either editing a scheduled report or creating a new one. 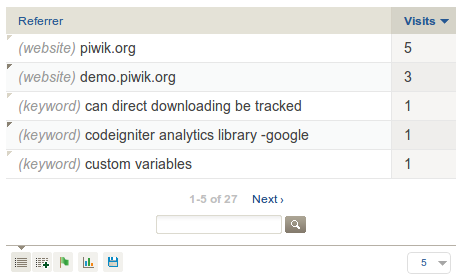 We’ve added a new widget that contains the Matomo (Piwik) presentation video to the default dashboard. If you regularly have new users that are entirely new to Matomo, this widget will help to get them started. Finally, we’ve made some changes to the way campaign keywords are detected for Adwords campaigns. If campaign keywords aren’t supplied in a query parameter when tracking an Adword campaign, we try to glean them from the referrer URL used (eg. if the user visits from Google and clicked an Adwords). If a keyword still cannot be found in the Referrer URL, the referrer domain is used so you’ll still know where the Adwords campaign was visited from. Custom Alerts Notifications: We need your help to implement this awesome feature in Matomo! We?re getting closer and closer to version 2.0, and we?re not going to stop! We?re working on implementing more of the features in the Roadmap in order to reach this important milestone. We have just started a new crowd funding campaign, to implement and design a new Custom Alerts feature. This lets you create alerts and be notified by email or SMS text message, when they trigger. 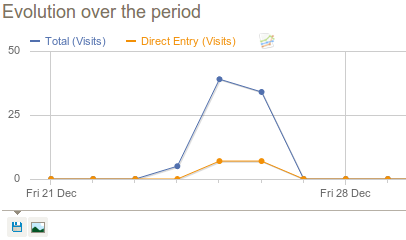 For example you can be notified if your visitors count decreases (or increases!) more than 100%. You can even create complex alerts like “Send me an email when visitors from Google decrease 20% since last week” or “Send me a SMS if Ecommerce Revenue goes below 100E on a given day”. It will help you detect issues early, and stay on top of your business! Pledge now to make this awesome feature possible! Are you a talented developer or an experienced User Interface designer? or maybe you like to write documentation or are a marketing guru? For the full list of changes in Matomo (Piwik) 1.11 check out the Changelog. If you are a company and would like to support an important project like Matomo (Piwik), get in touch, it means a lot to us. You can also participate in the project ? and if you like what you read, please tell your friends and colleagues or write on your website, blog, forums, stackoverflow, etc.